Sgt. 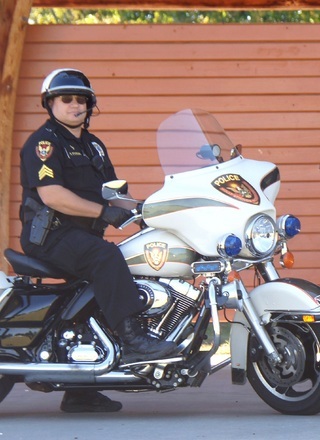 Tyndall has been with the Holly Springs Police Department since 1999 and has been a motor officer since 2009. He is currently assigned to the Traffic Negotiation Team. Sgt. Tyndall has been in public safety since 1983 first working in EMS then with the Fire Service before getting into law enforcement in 1995. He is a Nationally Certified Child Passenger Safety Seat Technician and Alive@25 Instructor. Return to Holly Springs Police Dept.